Scotland is an amazing place. We've got sheltered lochs looking out to stunning mountains, the best most reliable white water in the UK and world class sea kayaking on the west and north coasts. We've got gentle half day potters and month long expeditions. We've got the environment to give the most timid novice a safe enjoyable introduction to paddlesport and the environment to stretch the gnarliest expert. 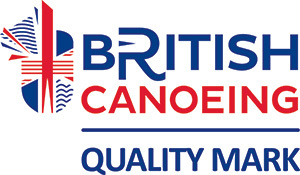 I'm a BCU level 5 coach (WW kayak), UKCC level 3 + AWE (sea) and AWE Open Canoe (whitewater). I'm also a SCA approved paddlesport provider. That means that I've gone through an accreditation process which ensures that you'll receive quality coaching and appropriate kit.